This is a timber fillet/insert designed to fit the Q-Deck Plus 44 x 70mm Handrail. It is preservative pre-treated with Tanalith E Extra giving the timber water repellant properties. 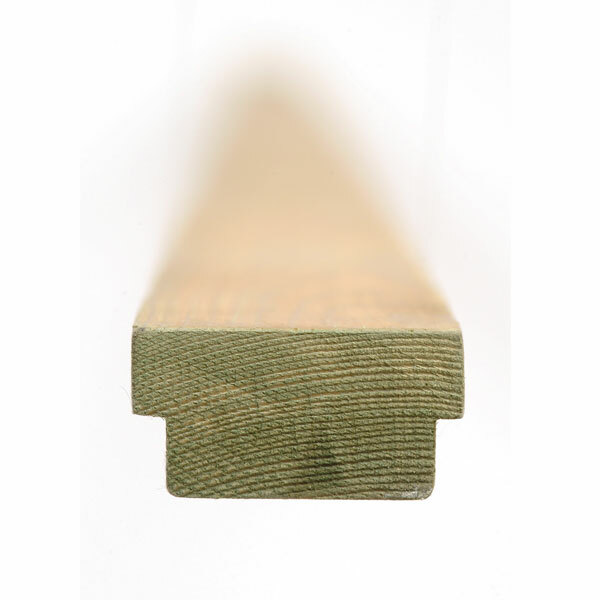 Q-Deck Plus Decking Handrail Infills are made from high quality certified softwood. These fillets are to be cut to a desired length and fitted to a rebate to the underside of the 44 x 70mm handrail to space Q-Deck Plus 41 x 41mm spindles or 33 x 33mm Multi-Purpose. It is preservative pre-treated with Tanalith E Extra giving the timber water repellant properties.